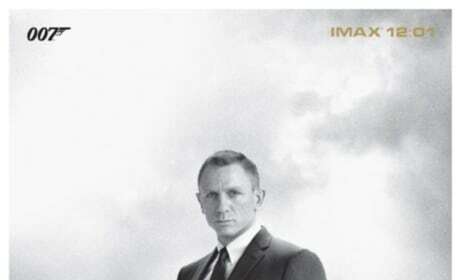 Check out these Skyfall movie posters photos and it's clear that James Bond is back and in a big way. Skyfall star Javier Bardem. 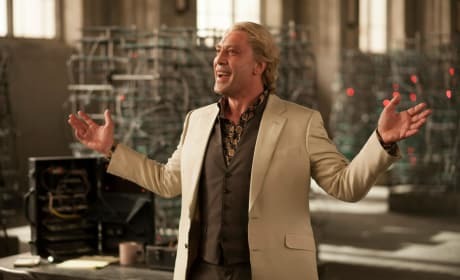 Bardem was one of the best Bond villains of all-time. 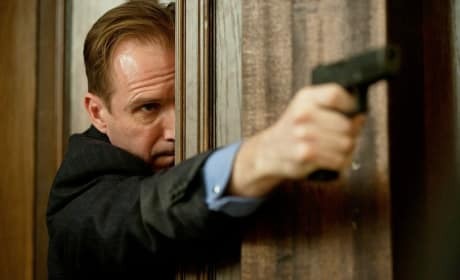 Ralph Fiennes stars in Skyfall. Fiennes will be back in Bond 24. 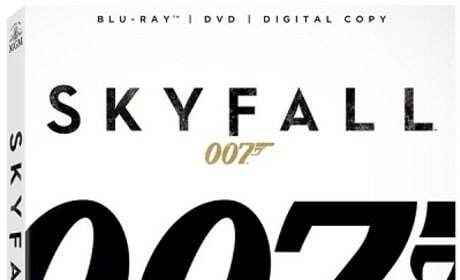 The Blu-Ray cover for Skyfall. 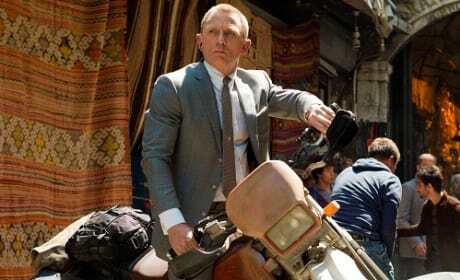 Daniel Craig returns for his third time as Bond in Skyfall. 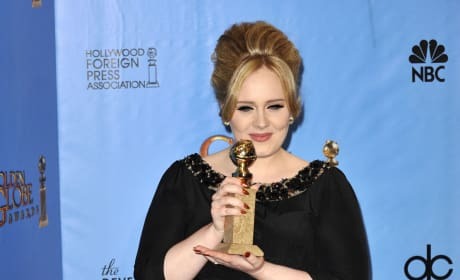 Adele holds her Golden Globe. The singer won the award for Best Original Song for Skfyall. 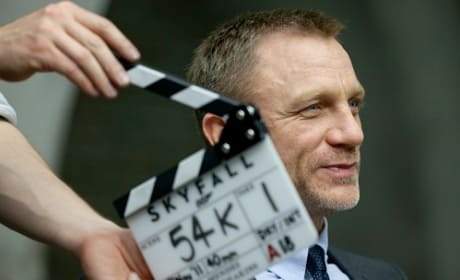 Skyfall set photo of Daniel Craig. James Bond himself goes to work. BÃ©rÃ©nice Marlohe and Daniel Craig star in Skyfall. The film is out November 9. 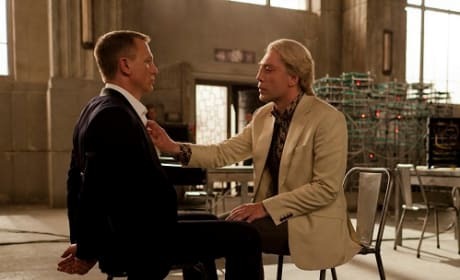 Daniel Craig and Javier Bardem star in Skyfall. The latest James Bond film is its best. Daniel Craig stars in the latest 007 adventure, Skyfall. 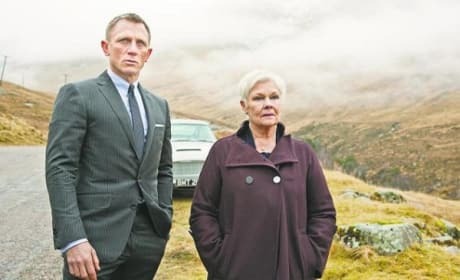 The film is the first Bond movie in four years. The IMAX poster for Skyfall. Daniel Craig is back again as James Bond. 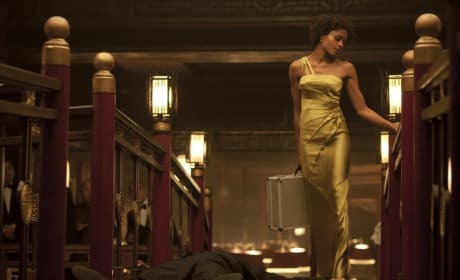 Naomie Harris is one of the new Bond Girls in this still from Skyfall. 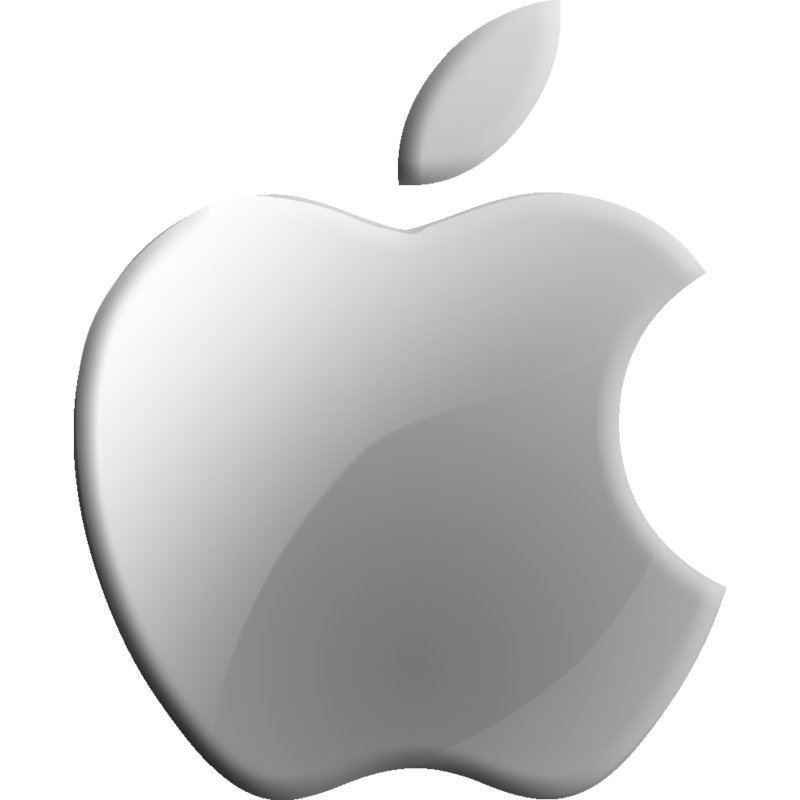 The latest Bond film is directed by Sam Mendes and hits theaters October 26. Naomie Harris runs in this still from Skyfall. The latest Bond film is directed by Sam Mendes and hits theaters October 26. Skyfall is the 23rd James Bond movie and it featured Daniel Craig in his third film as Bond.